Good morning friends! 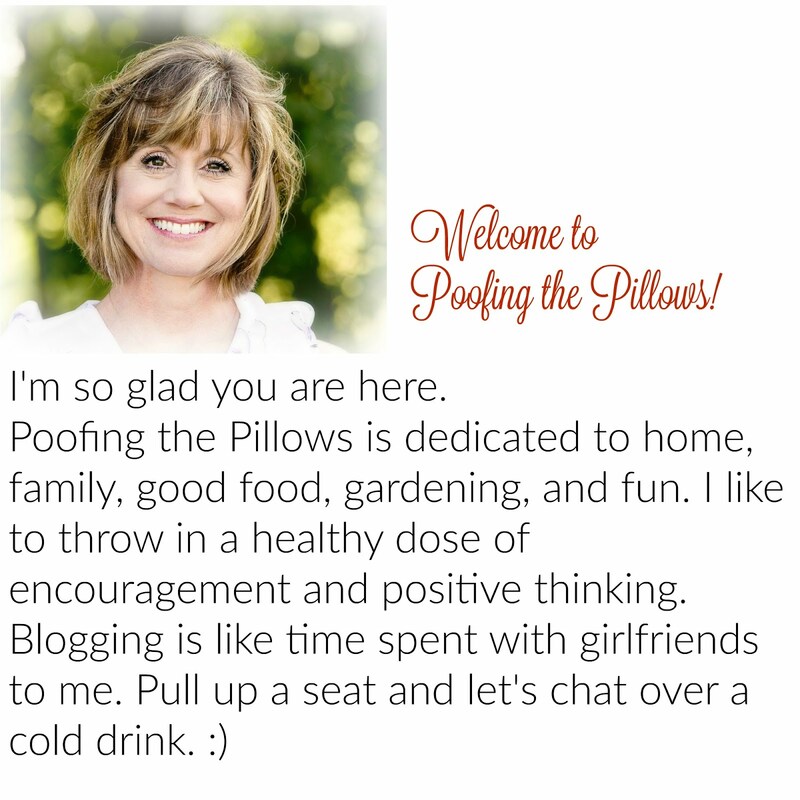 Do you follow Poofing the Pillows on Instagram? Yesterday I shared a Christmas tree that Shirley at Housepitality Designs has just decorated at her home. You must pop over to see the post of this beautiful tree in her sunroom. More importantly, read her thoughts on patriotism and what some of this means to her. 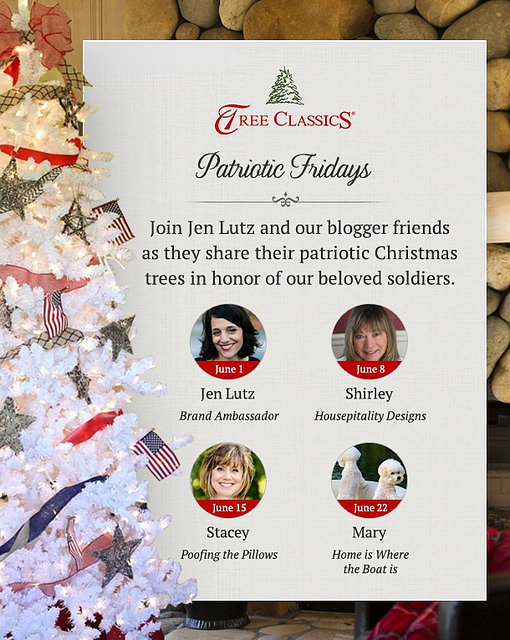 Shirley, Mary of Home Is Where the Boat Is, and I have partnered with Tree Classics this year to share Christmas trees decorated with patriotic flair in honor of our service men and women. Jen of Tree Classics has already shared a fabulous post with decorating and food ideas. source Tree Classics will be giving away a beautiful white Christmas tree along with ornaments as part of this campaign. 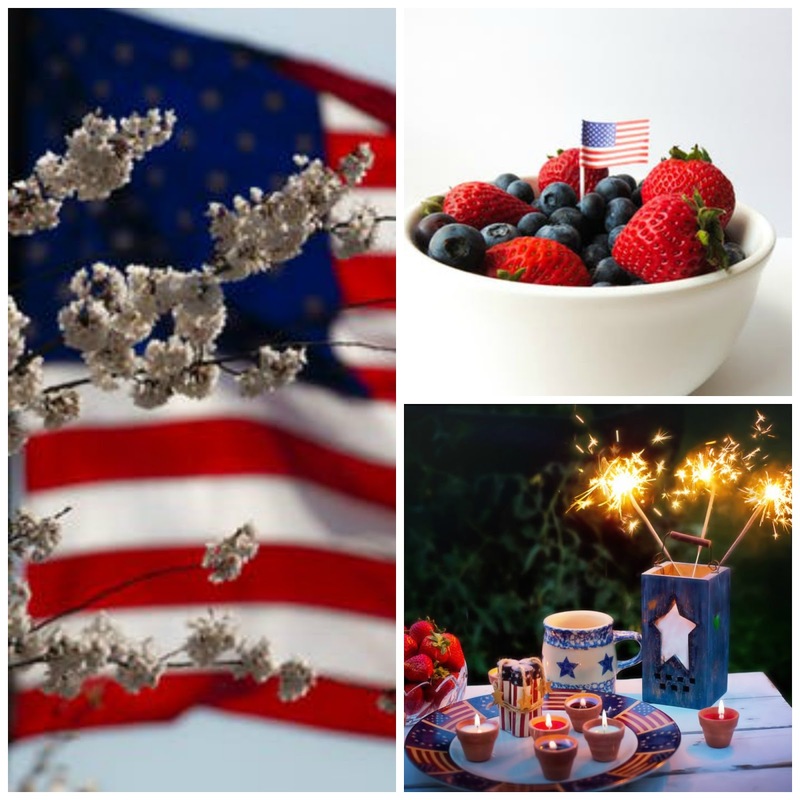 I hope you'll be following along as we share our patriotic hearts and some fun decorating ideas. What a worth while initiative! I have already seen the tree on your Instagram account. Stunning. Hi Stacey, I have been gone all day and haven't had a chance to look at IG. Posted a quick post this morning then hubby and I headed out to go fishing with our youngest daughter and her boyfriend. I will check out the posts. So wonderful to honor those who serve!! What a great honor. I saw Shirley's pretty tree. Just gorgeous. Off to check out the rest. I did pop over and I can't wait to see your post on the 15th! What a good idea! I'll love this!